The fake restaurant wasn't even trying to impress. 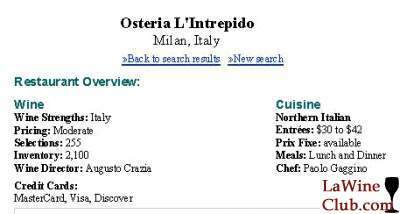 The "proprieter" designed a menu that would be typical for a restaurant in Italy, but with nothing special about it. The wine list presented a reasonable selection of Italian wines in the numbers and distribution of types that Wine Spectator would want to see. 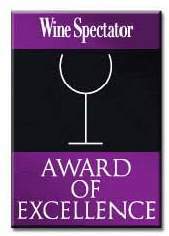 But to truly test whether Wine Spectator cared more about the restaurant or its ability to pay the $250 fee, the restaurant wine list's high-priced "Reserve" section was filled with wines that were rated poorly by Wine Spectator's own reviews. For example, one Brunello di Montalcino scored a 67 and the high praise, "�Smells barnyardy and tastes decayed. Not what you�d hope for�." Yum! Wine Spectator feebly protested that they tried to contact the restaurant, but reached only a recording stating that it was closed at the time. That still doesn't explain giving an award to a wine list where the most expensive wines ranged in score from a mildly disappointing 81 to a stunningly bad 58. Then again, of the nearly 4,500 restaurants that applied or reapplied for a Wine Spectator award this year, all but 319 won some kind of award. Can you imagine the wine list at those establishments? Then again, perhaps you've visited restaurants like that before. For more of the wines to avoid.